IMPORTANT: All tour prices, taxes, and airfares quoted in this brochure are based on tariffs, costs, and United States dollar exchange rates that were in effect at the time of publication. Consequently, prices herein are subject to change. Due to fluctuations in global oil prices, a fuel surcharge may be added to your tour fee. You will be advised of details and costs prior to departure. 10 nights accommodation at select hotels and lodges. All ground transportation in Iceland. Day 2 domestic flight from Reykjavik-Akureyri. English-speaking local guide throughout your journey. Meals as specified in the itinerary, including coffee, tea, and water. Sightseeing admissions as noted in itinerary. Services of a TravelQuest Trip leader and astronomer. 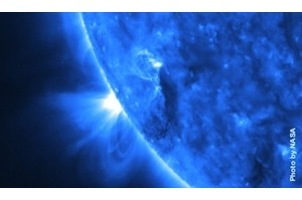 Private lectures along with and aurora viewing sessions. International air transportation to and from Reykjavik, Iceland (airport code: KEF). Gratuities to driver and local guide. Items of a personal nature, including spa and laundry services, beverages at meals other than coffee/tea/water, souvenirs, etc. Passport & visa fees, along with any required immunizations. An advance payment of $2,000 U.S. dollars per person, along with the completed reservation form, are required to secure your reservation. Final payment is due by June 12, 2018. Cancellations must be made in writing via email, fax, or mail. All advance payments, less a $700 U.S. dollars per person cancellation fee, are refundable until June 12, 2018. There are no refunds after June 12, 2018. In the uncertain, often volatile, oil market, it is difficult to predict long-term fuel costs, and more specifically, costs at the time of the voyage. Our prices are based on the prevailing fuel rates at the time of the brochure publication, which is well in advance of departure. While we will do everything possible to maintain our prices, if fuel prices increase significantly at or before the time of the voyage, it may be necessary to institute a fuel surcharge.